AUTOMATED Control and West introduce the 6170+ valve motor drive process controller. It incorporates advanced tuning algorithms, with selectable pre-tune and self-tuning for easy setup. The self-tune reduces output activity to a minimum without compromising control quality, and according to the company, reduces wear and tear on mechanical components including valves, contactors and relays. West’s plug-and-play technology allows the user to add to the controller’s features by installing additional plug-in boards. Inputs, outputs, alarms and communications are all field upgradeable. 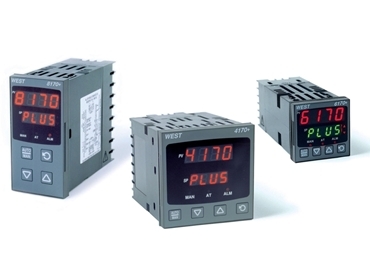 Dual 4-digit LED displays and 1/16 DIN panel mount come as standard.